Although Mother Nature is not gracing us with the current Nor’ Easter that is hitting the Northeast, it is still cold enough for all of the ski areas to make snow. 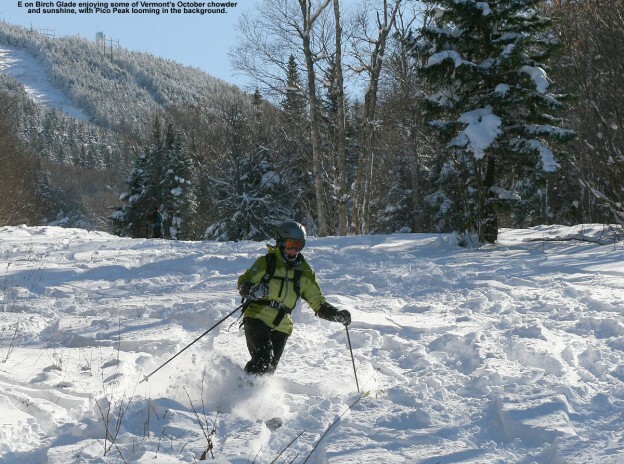 For those of you who are lucky enough to make it up to Vermont this weekend, it looks like it is going to be a perfect for skiing your favorite mountain. The weather and snow conditions can quickly change, so be sure to be up to date on both. The mountains have snow and the weather is going to be perfect so head on up to Vermont for a great day on the slopes. This entry was posted in Activities, Now Trending, Play, Winter News on January 22, 2016 by Linda Cassella. 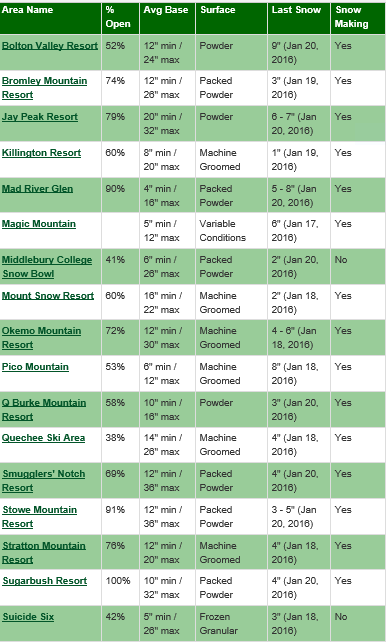 Vermont Snow and Ski Conditions for Jan 29th Vermont Is Getting Snow! What A Difference A Week Makes Bolton Valley Has Plenty of Snow. Plan Your Getaway Now!